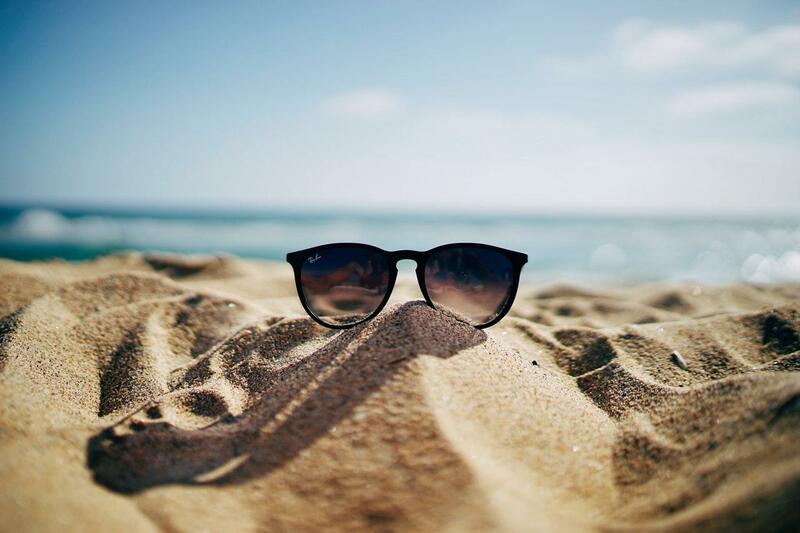 A new pair of sunglasses is capable of measuring ambient temperature and sun radiation, while collecting enough solar energy to potentially power a step counter, hearing aid, or making scenes from sci-fi movies like Minority Report and Total Recall a reality... eventually. The “Solar Glasses” were developed by a team led by Alexander Colsmann of the Organic Photovoltaics Working Group at the Lichttechnisches Institut of Karlsruhe Institute of Technology (KIT). Lenses have solar cells built into them that power frames containing microprocessors and two displays that provide read-outs on the sun’s strength and temperature. Organic solar cells will expand the way we harness the sun. The secret to the technology is utilizing organic solar cells. Unlike the commercial solar panels we see on roofs, solar cells are comprised of carbon-based polymers and organic molecules that convert sunlight to electricity through the photovoltaic effect. Solar organic cells are less expensive to manufacture, lend themselves to mass production, and offer incredible flexibility in material applications, such as a pair of sunglasses. Technology for this version of solar power is still in development, and scientists are working to figure out ways to make them last longer and function with more durability—although it’s only a matter of time before we’ll see things like KIT’s smart glasses available for retail sale. Solar power is no longer restricted to bulky panels. Colsmann and his research team built the smart glasses out of a polymer and two fullerenes, called a ternary absorber blend, to build their organic solar cell. Their results were published in Energy Technology. “Ternary blends comprising two fullerenes are known to enhance the power conversion efficiency and thermal stability of organic solar cells,” the findings state. Electrical power generated by the lens-fitted solar cells is powerful enough to light up displays for temperature and illumination intensity. The glasses are designed to function at lower light levels as well, meaning they work indoors, too. So you won’t need to be outside if you want to browse the web with your eyeglasses. Get ready for the sun to power all your portable electronics. Solar cell technology will allow for limitless uses. “Their mechanical flexibility and the possibility to adapt them in color, transparency, shape and size to the respective application, make the solar cells based on hydrocarbon compounds from the engineer’s point of view an exciting material,” Dominik Landerer, PhD student and research team member, said in KIT’s press release. The same cells Colsmann’s team used to make Solar Glasses could potentially be used in windows and facades on buildings, other “smart” and wearable accessories and clothing, and of course in electronics. That could mean jackets that control MP3 players, sports bras hooked to health monitors, and sneakers hooked to pedometers, and hats hooked to your phone via Bluetooth… powered entirely by the sun. Talk about a bright future.